Tales as Bold as Thyme... 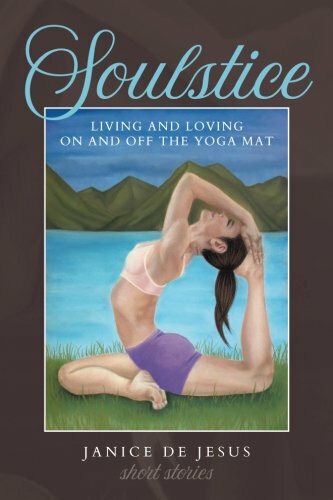 Written in a minimalistic and surrealistic style, Janice De Jesus weaves tales of love and loss through the lives of various practitioners of yoga. The short stories in this collection delve into the commonalities of the characters&#x2019; relationships through imagery, recurring motifs, introspection and spiritual epiphanies as they ponder what it truly means to fully live their authentic lives with passion and compassion. Let the tales in Soulstice be a literary medicinal herb, the salve to help heal broken hearts and lead aimless souls back home to their authentic selves. Janice De Jesus is an arts and features journalist and yoga instructor living in the San Francisco Bay Area. Her first nonfiction book Omstruck: Healing Heartbreak Through Yoga and Meditation was published in 2011. She is also the author of two novels: Not Just Another Pretty Face and Pretty as a Picture, Book One and Book Two of the Pretty Princess Trilogy.